The invaders are becoming refined in their attempts to prevent activists from gathering near the courts to support their fellow countrymen. 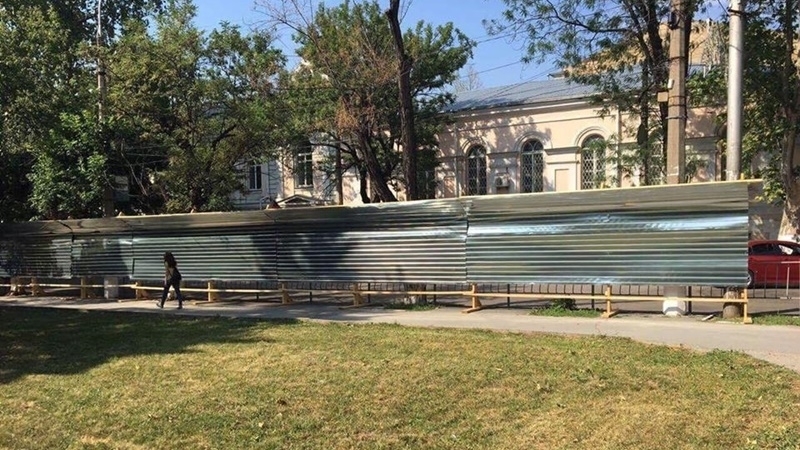 The facade of the building of the Simferopol district court, where every Wednesday sessions are held on the case of Ilmi Umerov, was blocked with a fence of tin plates, Aishe Umerova informed on her Facebook page and publishing the relevant photos. Presumably, the reason for this object to appear was the intention of law enforcement agencies to prevent activists who came to support Ilmi Umerov, from gathering in a neighboring park and observing the process. “The other day three buses riot police arrived, then the dog handlers with the dogs, then the evacuators took away the cars exclusively every Wednesday, and on the rest of the days everyone quietly parks their cars and nobody is evacuated. Now they decided to fence off in general?” Aishe Umerova commented. The activist does not exclude that repair work is planned near the building. 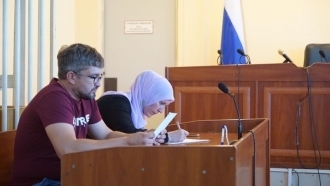 Reference: On 7 June, the Kremlin-controlled Simferopol District Court began to consider the case against Ilmi Umerov, one of the leaders of the Crimean Tatar national movement, Deputy Chairman of the Mejlis of the Crimean Tatar people.